Welcome to Thank You Thursday at Select Moe’s Locations! ATLANTA, GA (January 28, 2010) – As seen during American Idol, Moe’s latest commercial featuring Bo Bice invites guests to enjoy Thank You Thursday. Buy one entree, get one free with the purchase of two drinks*. Take advantage of the offer by visiting a participating location in the following cities: Atlanta, GA; Tampa, FL; Nashville, TN; Greenville, SC; Columbus, GA; Auburn, AL; Montgomery, AL and Birmingham, AL. * Must be of equal of lesser value. Cannot be combined with any other offer. Offer available at participating locations. Void where prohibited. Promotion end date varies by location. WHAT: Eating a delicious Moe’s burrito isn’t just good for your appetite; it’s also helping those in need. Moe’s wants to do its part to help the disaster victims in Haiti, so the restaurant will be giving 20 percent of all proceeds on Monday, February 1 to the Shreveport Red Cross. Additionally, Moe’s will gladly accept donations on behalf of the Red Cross all day. WHEN: Monday, February 1 from 11 a.m. until 9 p.m.
WHY: According to local Moe’s owner Taryn Shelton, the people in Haiti need our help and Moe’s wants to facilitate an opportunity for the community to come together and donate what we can to those who need it most. ATLANTA, Ga. (January 21, 2010) – The “MOE” in Moe’s Southwest Grill originally stood for Musicians, Outlaws and Entertainers, and the music and artwork in Moe’s restaurants have been a reflection of that persona. All the tunes played in Moe’s restaurants are those of the dearly departed, and Moe’s is ready to get that rock ‘n’ roll image up on the walls. That is where the Dead Ringers™ promotion (www.BEaDEADringer.com) comes in. From now until April 20, Moe’s is asking anyone who is a “dead ringer for a dead rocker” to enter the Dead Ringer Contest for a chance to be one of the winners whose portrait will be painted and hung on the walls of Moe’s locations nationwide. The first 5,000 legitimate entries will receive $5 in Moe Bucks, the top 100 will receive a Moe’s t-shirt and the top 14 will win free Moe’s burritos for a year, and may be invited to jet to Atlanta for costumes, make-up and a photo shoot. All of the official rules and details can be found at BEaDEADringer.com. For those who don’t look like a dead musician, Moe’s invites you to go to www.BEaDEADringer.com and “Rock Your Face.” The Web site features a photo uploader that allows visitors to put their faces on those of rock stars from a variety of musical genres and share the images with friends via email and social Web sites. Like any good musical experience, the Moe’s Dead Ringer promotion features exclusive “merch,” with proceeds going to a good cause. Moe’s will donate all proceeds of Dead Ringer t-shirts and Moe’s guitar picks purchased at BEaDEADringer.com to the VH1 Save the Music Foundation, a non-profit organization whose mission is to restore instrumental music programs in public schools. This is the first of several Moe’s programs to benefit the Foundation. More about this and future programs will be posted on this blog! NEWARK, NJ (January 13, 2010) – Rutgers alumni open Moe’s Southwest on campus on Thursday, January 14. Local owner and operators Jamil Panezai, Noraiz Khan and Kashis Khan are bringing fresh, made-to-order burritos and southwest fare directly to the Rutgers students and faculty. The new Rutgers location is open Monday through Sunday from 11 a.m. until 10 p.m.
ATLANTA, Ga. (January 12, 2010) – With a fully customizable menu and 25 fresh ingredients to choose from, Moe’s prides itself on the ability to meet a variety of dietary needs and flavor preferences. 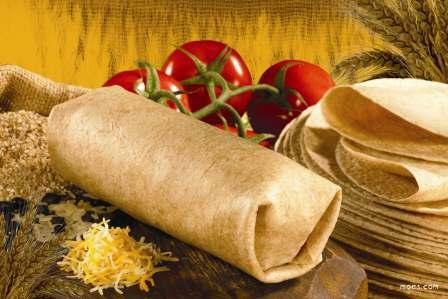 The new Whole Grain tortilla offers a fresh, nutritious alternative to Moe’s flour tortillas for Moe’s guests seeking a healthier alternative. ATLANTA, Ga. (January 7, 2009) – For the folks at Moe’s Southwest Grill the theme of 2010 is connect and engage, and it all begins with the launch of a new Web site and a strategic approach to Facebook and Twitter. 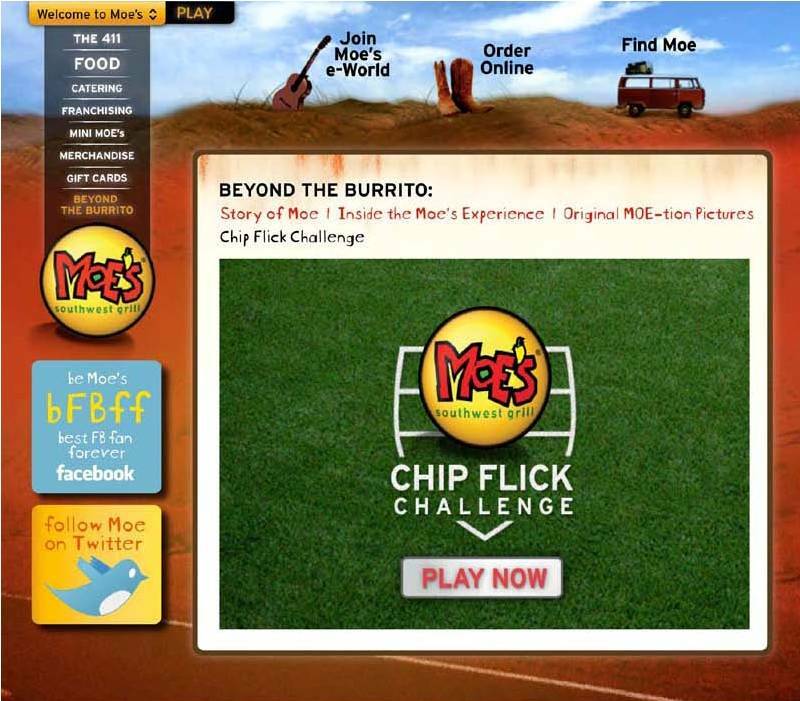 The Web site helps fans know Moe’s better, but Moe’s social media strategy helps the brand get to know its fans. The two-way communication strategy involves listening and sharing information using Facebook and Twitter. In the coming months Moe’s plans to launch an innovative web based promotion and a compelling systemwide offer to bring value to its online fan base which includes over 61,000 Facebook fans. FLORIDA (January 6, 2010) – When it comes to fresh, Southwestern food that is convenient and delicious, I am there! Here in South Florida — and 33 other states — Moe’s Southest Grill is perfect for a fast, fun, laid-back meal, but it’s not your typical fast food venue.